Mike Royden has done a great deal of research on this school, which was established in 1791, founded by Edward RUSHTON. It was the first of its kind in Britain. 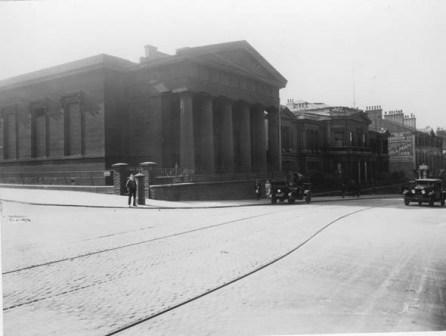 It moved to a site in London Rd (left) in 1800, and thence to Hardman St (below). 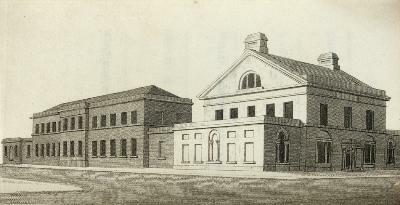 The Junior Wing at Wavertree opened in 1898; it is now know as the Royal School for the Blind. I have many records about staff there. If you enter ‘blind’ into the search engine on the home page, you will find them! From at least 1827 to 1846, John LUCY was the Superintendent and his wife was matron. In 1841 there were over 80 blind people living there. Recorded ages between 15 - 30, although there were some younger and some older. Occupations given as basket maker, roper, knitter etc. 1851 and 1853, a Joseph BAGLEY was listed as a teacher at the school; he lived in Walnut St. By 1859 the Institute, in Hardman St, was run by Henry and Harriet ADDENBROOK, originally from Sedgley in Staffordshire. All the staff listed in the 1861 census came from Staffordshire! By 1871 the master was one Joseph TAYLORl; I’m sure I will find more teachers as the list grows. Teachers were often listed as teachers of knitting or music; some were themselves blind. By 1901, there were teachers at both Wavertree and Hardman St. 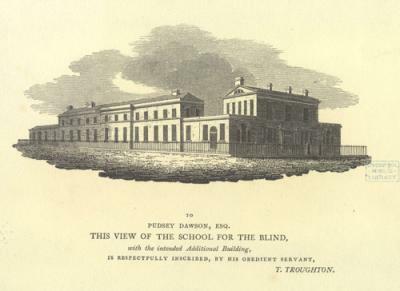 There was also a District Catholic Blind Asylum at Brunswick Rd, run by the Sisters of Charity. 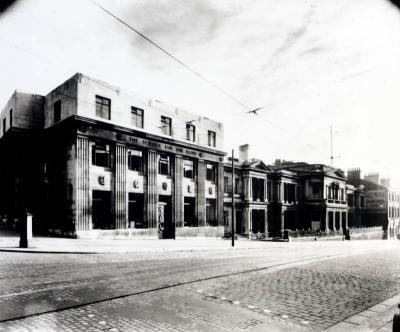 Above: the building which remains on Hardman St today, constructed in the 1930s. For contemporary views, visit Liverpool Record Office site.